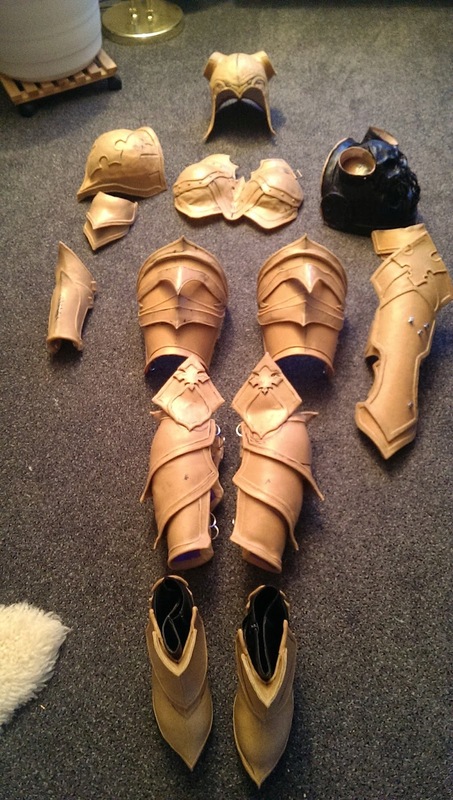 So many armor parts and so many techniques to use. 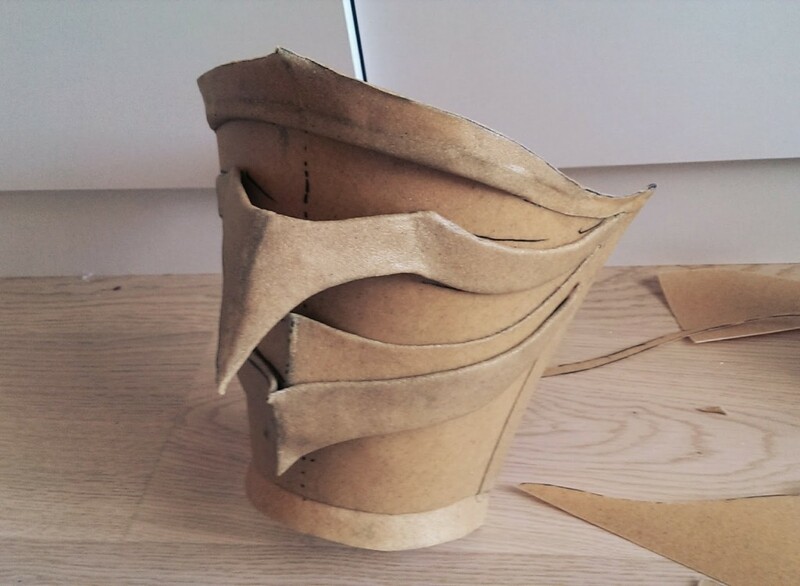 Love this project, I have learned buckets. 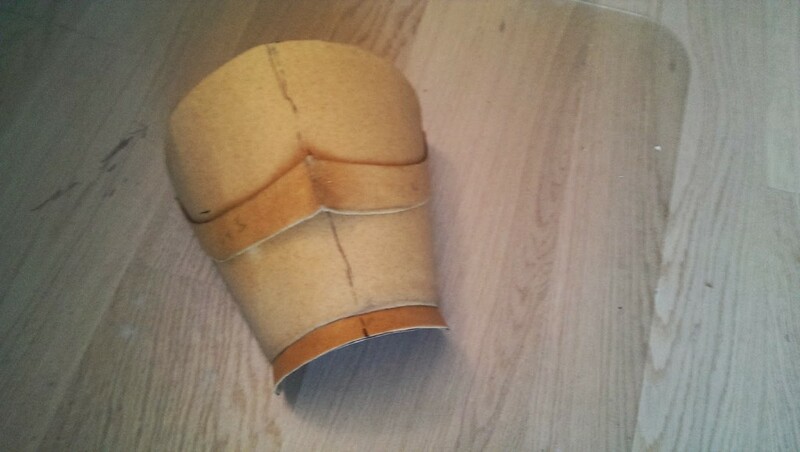 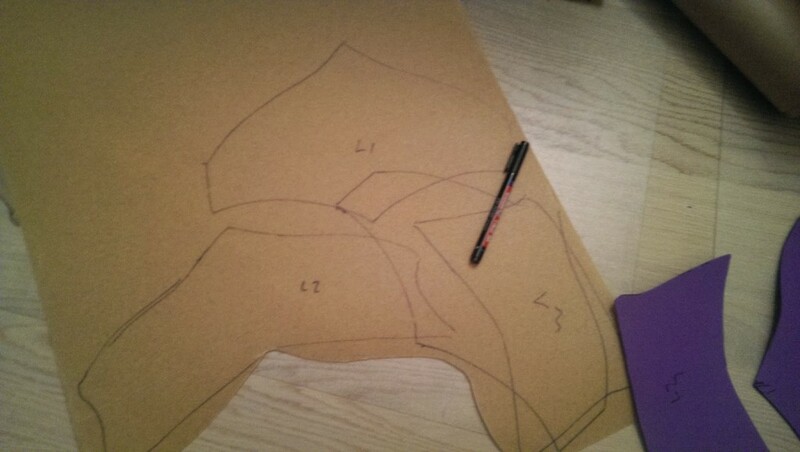 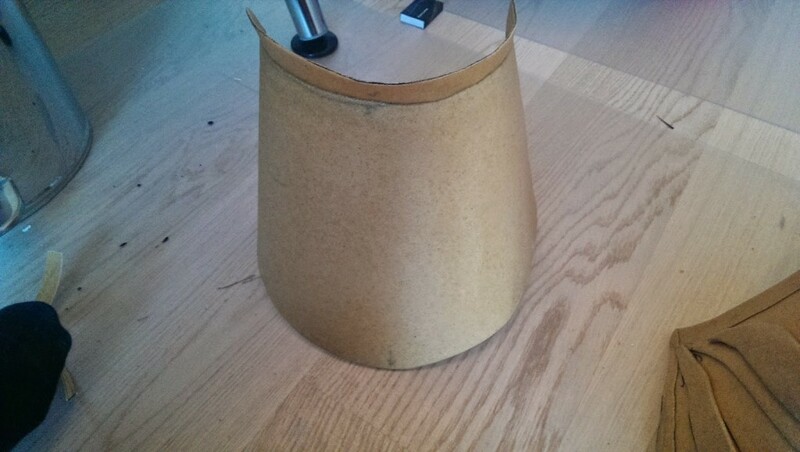 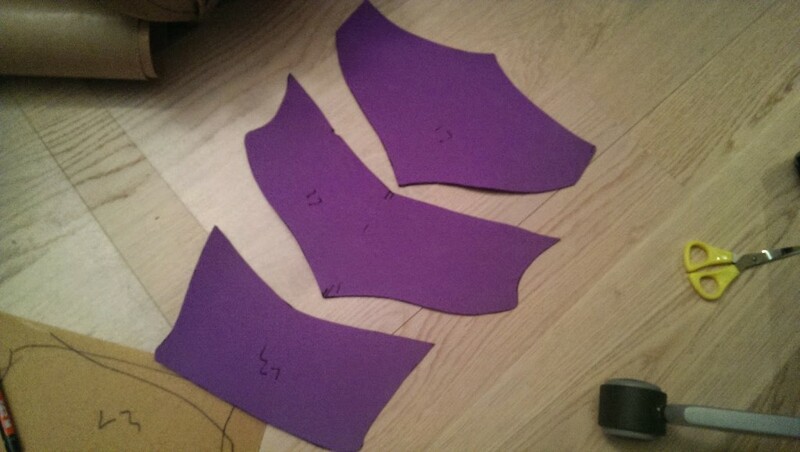 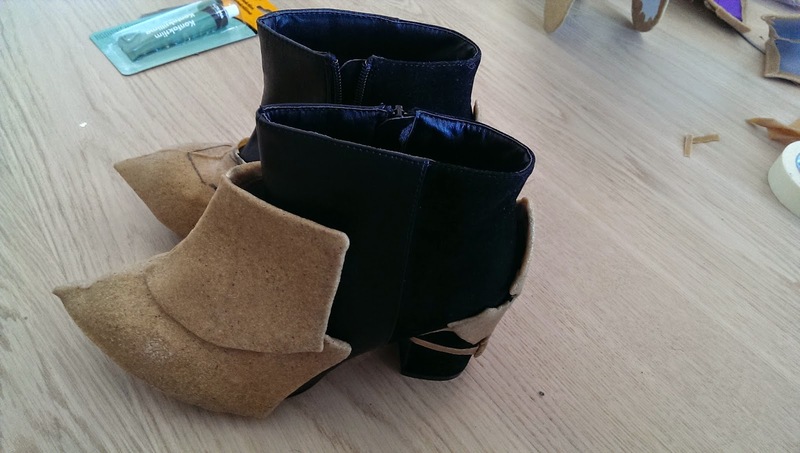 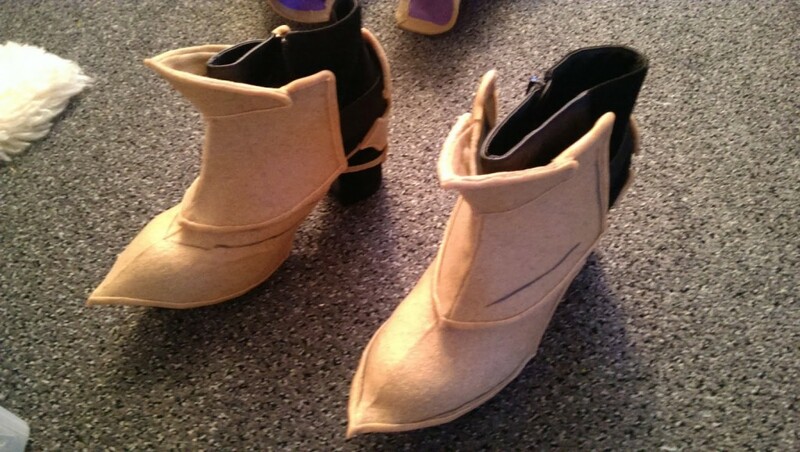 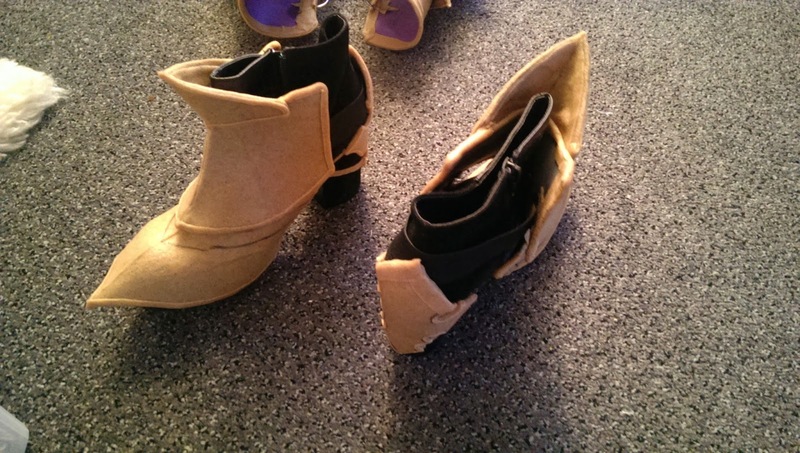 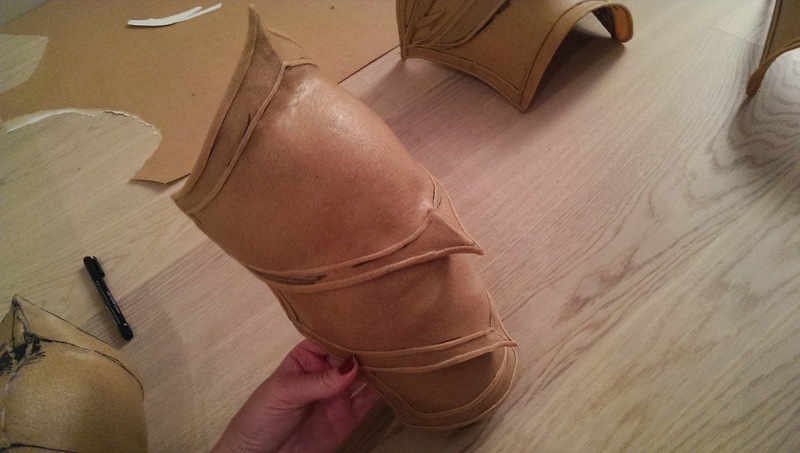 Here I will show how the thigh, leg and shoe armor was made. 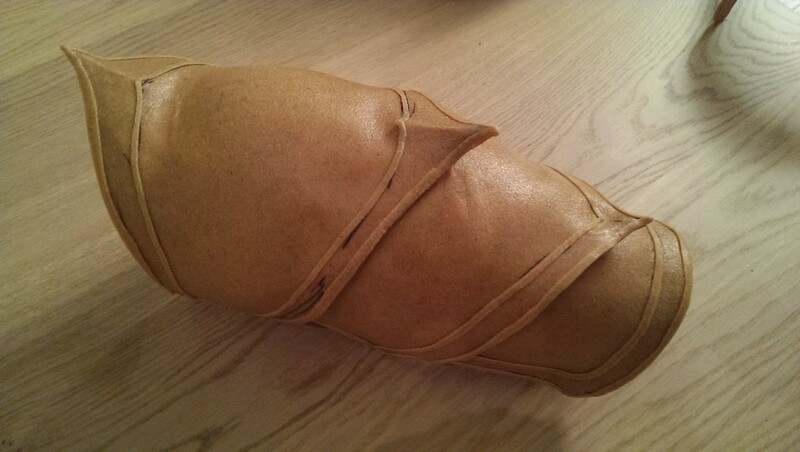 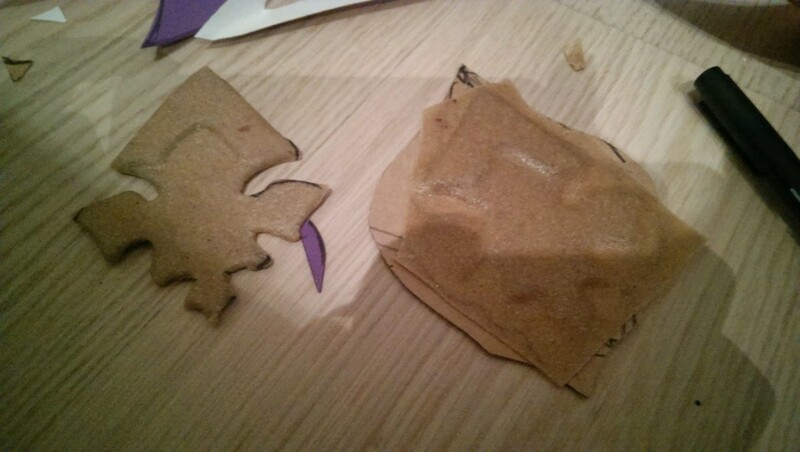 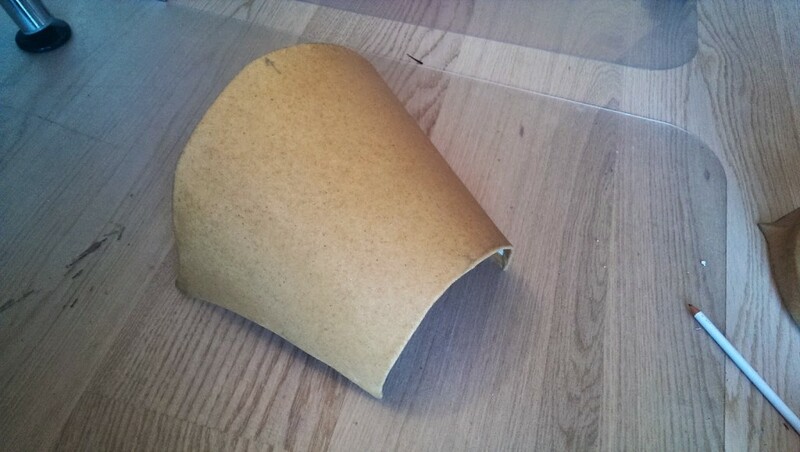 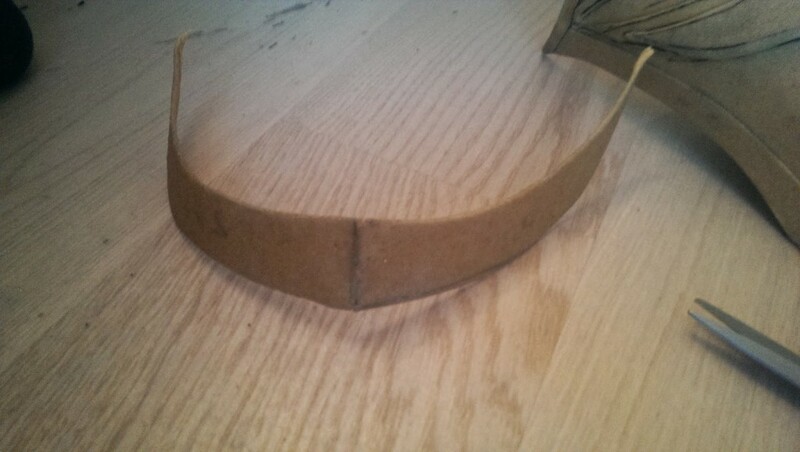 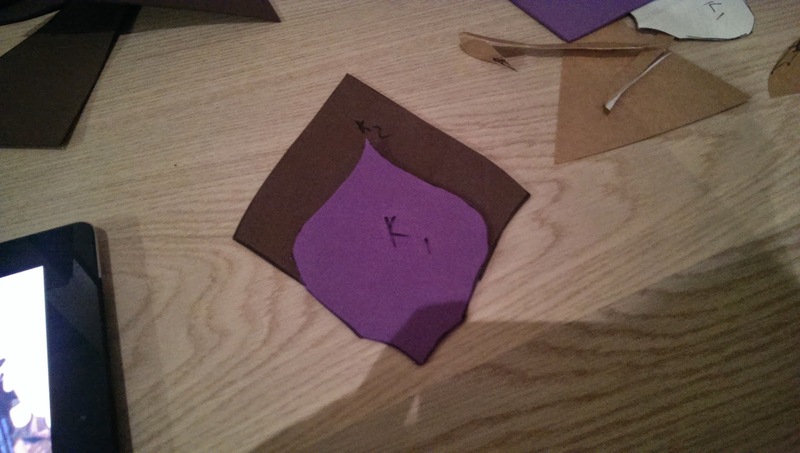 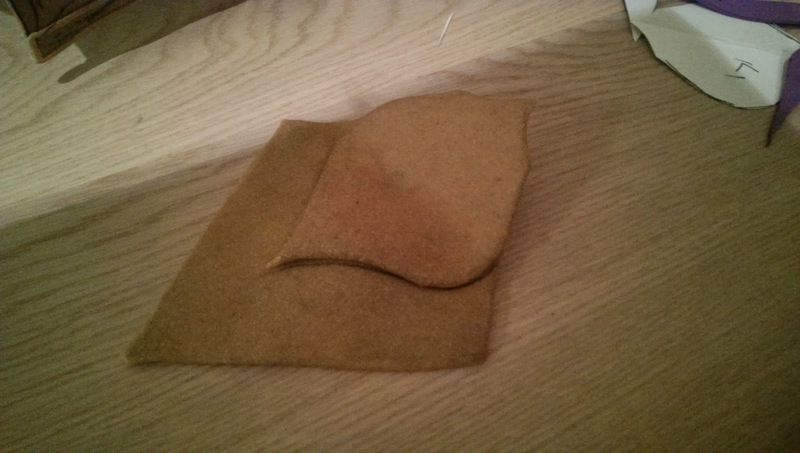 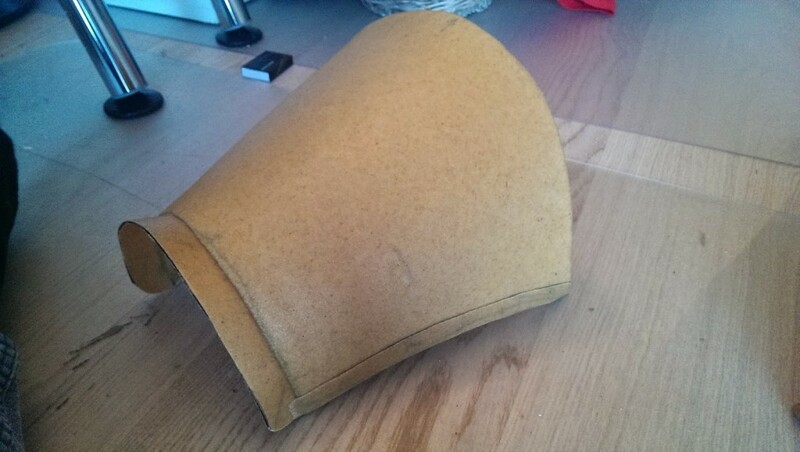 And I tried a few thing I have never tried before too, like curved shapes with cardboard base covered in worbla. 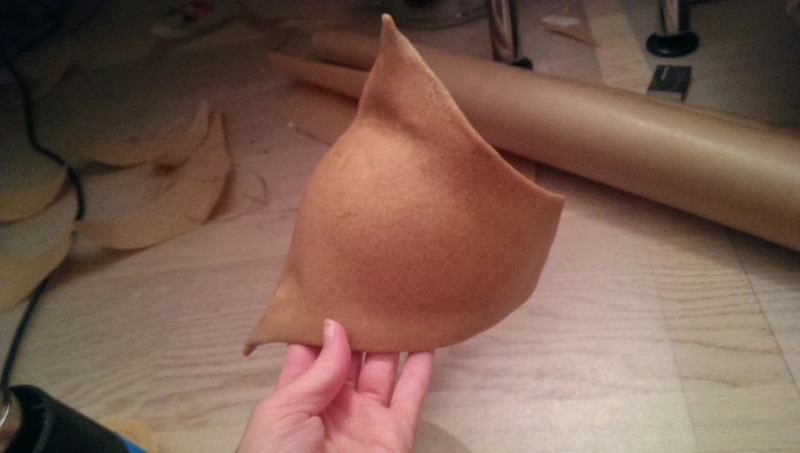 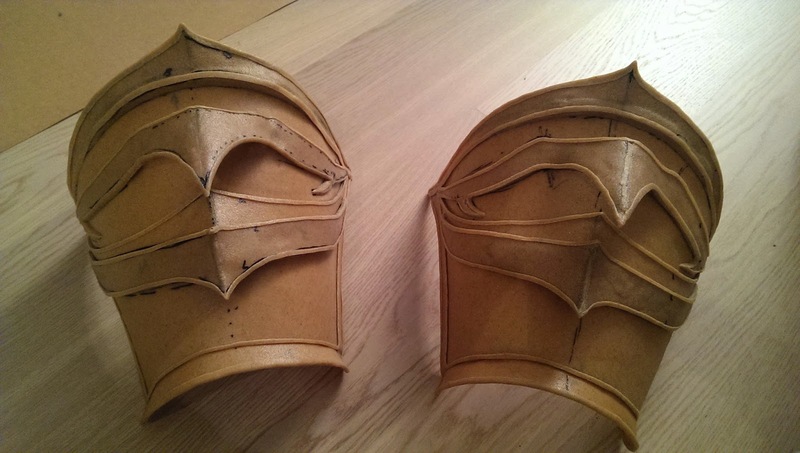 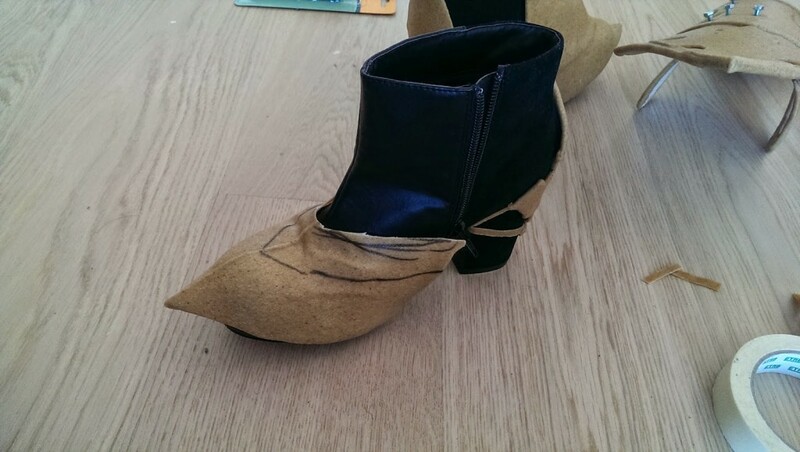 In this tutorial I don’t explain how worbla works, only how I have used it. 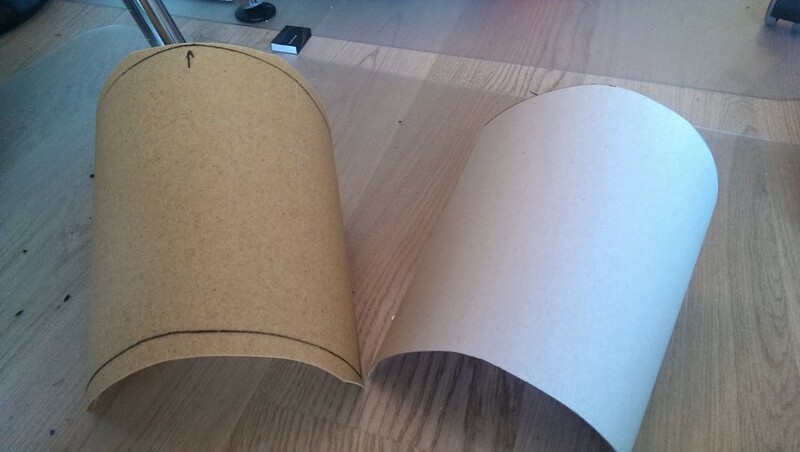 Since these pieces are single curved I thought I could use cardboard as a supporting core for the worbla, which worked great. 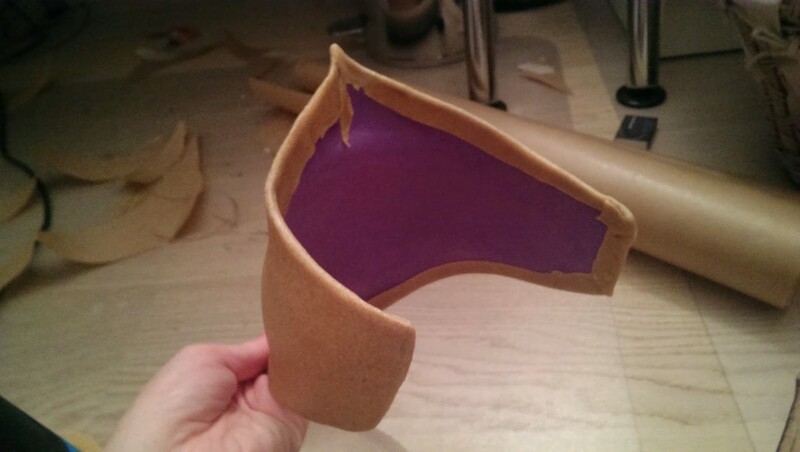 I also alsmost always only use one layer of worbla. 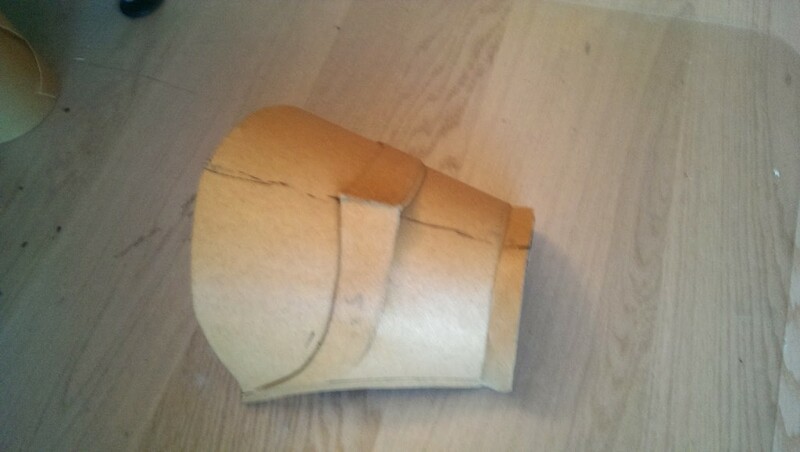 This piece was way more curvy, so foam core all the way. 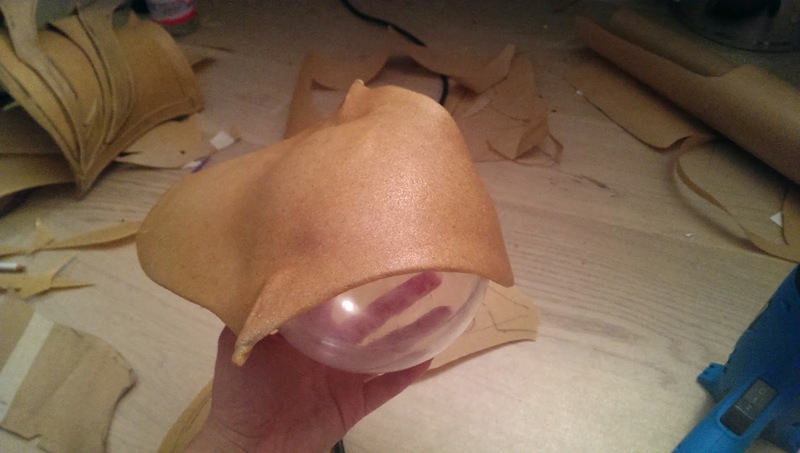 I tried two methods here, the first where I used two seperate pieces attached with a seamline goind down the middle, and this (see picture below) where I used one piece and streched it over an acrylic sphere. 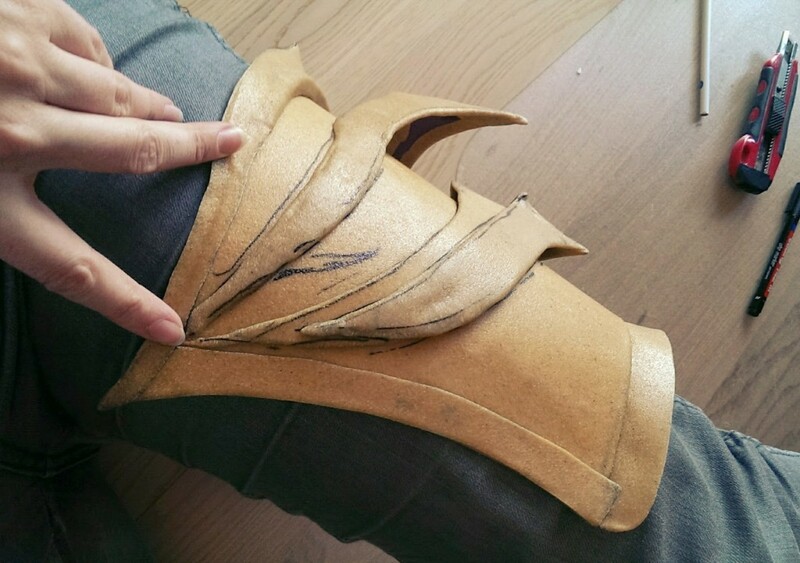 All the pieces attached together and detailed with worbla strips. 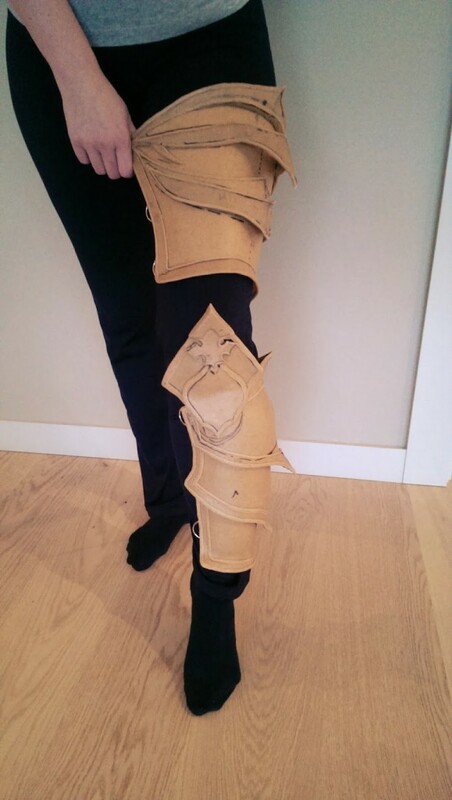 The knees are made from separate foam pieces covered in worbla. 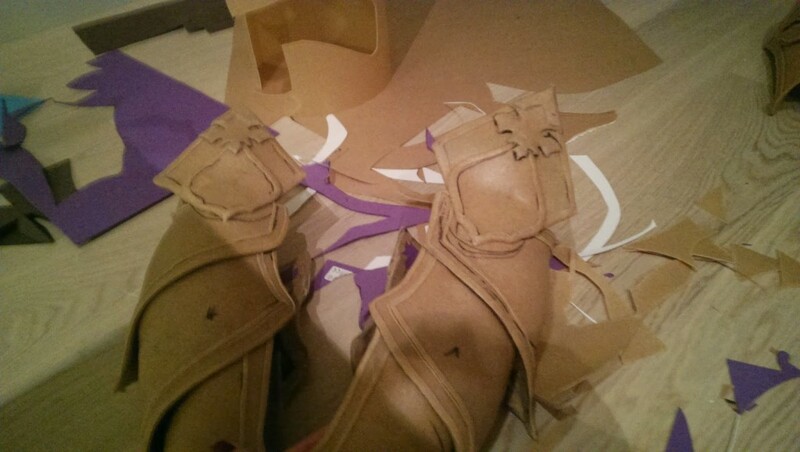 D-rings are added along the sides to attach the armor to my legs. 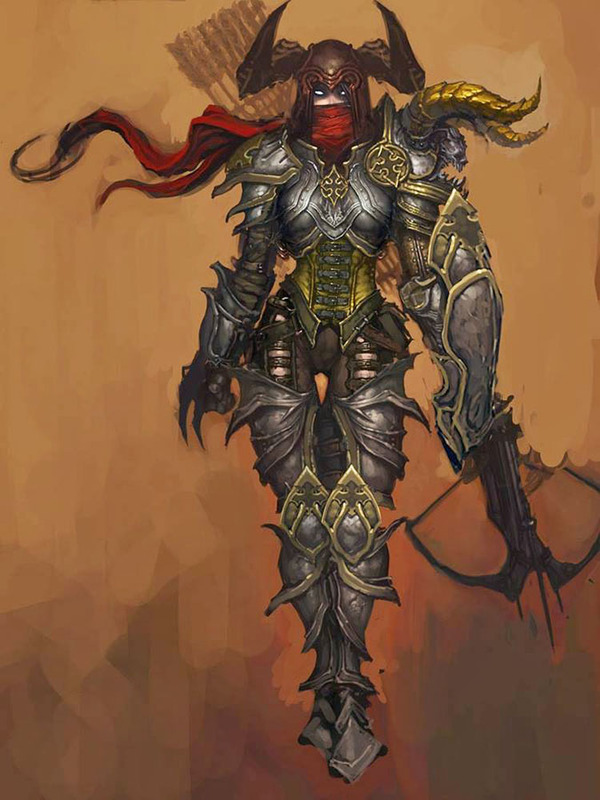 More about the painting in a later tutorial. 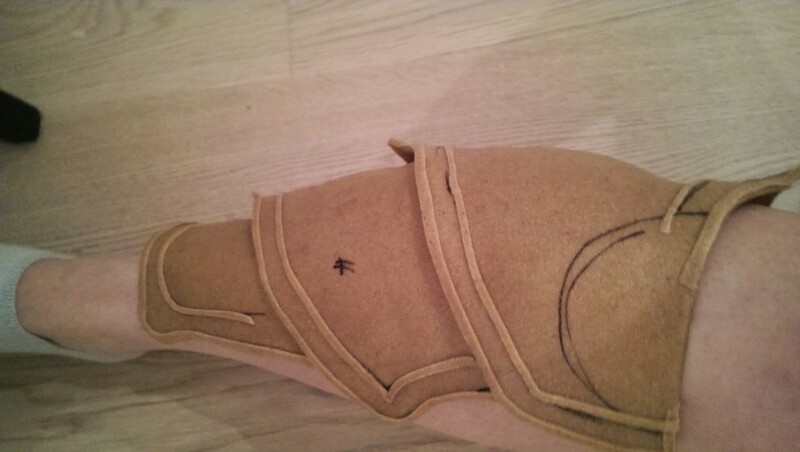 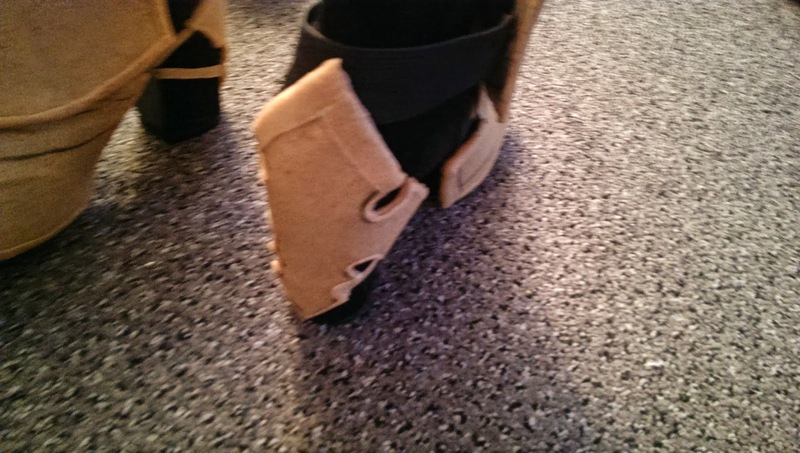 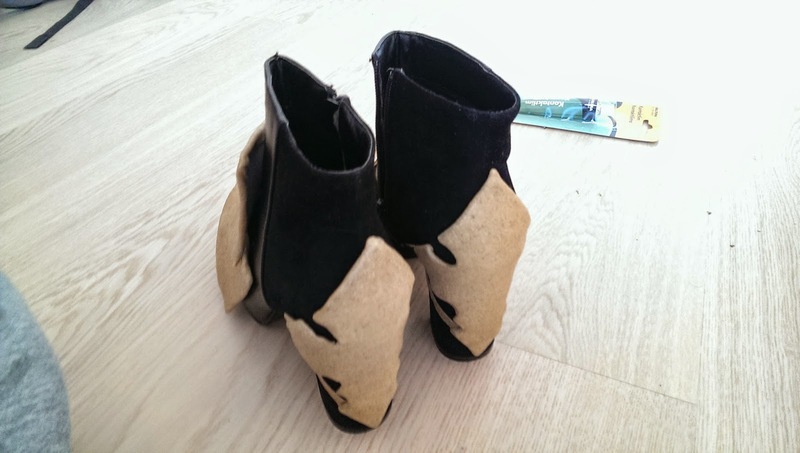 Many armor makers forget to address the back of the shoes. Even though I have no idea what the look like from behind, I will make something interesting.